It's the Quick and Easy Control Room Acoustic Treatment Kit. 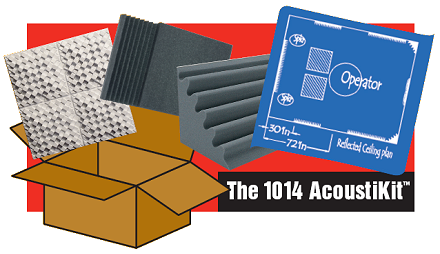 The 1014 AcoustiKit™ provides enough acoustical treatment for desktop music production or a small mixing room. It can easily be expanded or modified as the facility and the budget grow. All foam in the 1014 AcoustiKit™ is Charcoal in color. The Art Diffusors® in the 1014 AcoustiKit™ are white, and can be painted to match the room décor. 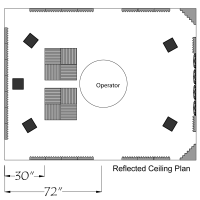 The design, created by a professional acoustician, illustrates placement of materials in relation to the listening position.